We are holding our spring grass track meeting this year on Saturday 11th May. Entries are now open on British Cycling. There will be fixed wheel racing for all categories, including a round of the National Endurance League. I may even include a reverse win and out again! 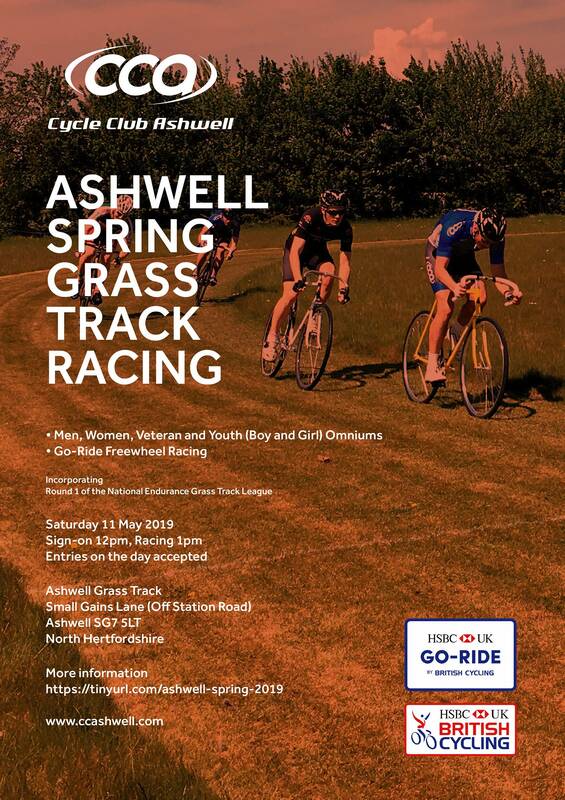 Pop up training sessions will be starting shortly so bring yourself along to these if you're curious about grass track racing come and see what it's all about. Quite a few people last year started turning up to these and went on to race, it's an extremely welcoming and accessible discipline, we even have bikes you can use. There will also be freewheel Go-Ride racing for all youth categories, which always produces great racing in a fun environment, a perfect introduction to racing for those who have never tried it. Helpers will be needed on the day so if you are able to then please post below. I'm happy to help, just let me know what needs doing. Is it possible to race and help out too? Thanks Alistair, I'm in need of both helpers and riders equally so please enter the race and there are some small ways you can help before the racing starts. Okay cheers will do. Am I okay to use one of the clubs bikes for racing please, I don't have a grass racing bike! Sure. There are a few adult sized bikes available and I will also bring my bikes (56cm) to use as I won't be riding. This is so exciting - it means summer's nearly here! I've entered to race, and happy to do any jobs that need doing before or after. Just signed up. Happy to help with clear up and the usual car park duties if needed. Yes, there should be a suitable bike and I have two 56cm bikes that I won't be using, that I can bring on the day. I see the poster for our CCA race is on social media. Getting excited. I can help out on the day too, when not taking part. Not sure I've had enough practice riding fixed gear to enter the CCA race day, but I would love a go. Are there training sessions that I could attend? I'd need to borrow a bike. Hi Andy. Weather permitting we should be there from 7pm on Monday. There are bikes available to borrow but bring some pedals. Dan.